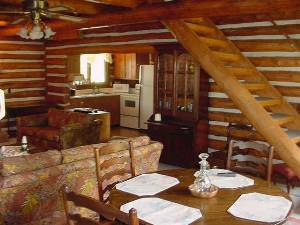 Beautiful log home on Barkley lake with extensive decking which faces the lake and the Land Between the Lakes (LBL) National Recreation Area. 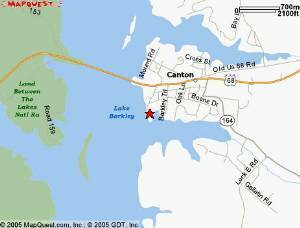 This home has 3br, 2bth, Laundry,full kitchen, dining room, living room, annex with 2 futons off one of bedrooms, enclosed sitting room overlooking lake,beautifully furnished, and central air and heat. The house will sleep 10 comfortably. 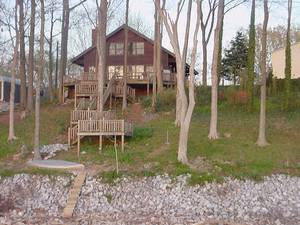 Boating, fishing, swimming, and sunbathing in your back yard and horseback ride, bicycle ride or ATV ride at LBL. The area offers many antique shops, golf courses, tennis courts and scenic areas. 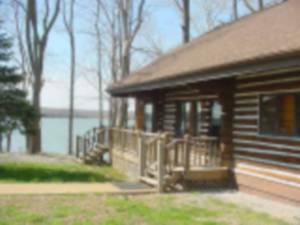 This located is on the main lake with fabulous views year round and is located less than 1/2 mile from the main Hwy. 68/80 offering ease and convenience to area amennties. Internet and cable included. A mooring buoy is provided to tie a boat up and a canoe to use for pleasure or as a skiff. Buffalo/Elk Range, planetarium, excellent fishing and hunting. Opens to kitchen and lakefront view. We had an all female family reunion here back in the summer of 2003. The pictures don't do this cabin justice. It is very clean, big, and comfortable. The deck out back was great. Our family just stayed at this wonderful cabin and it went well above our expectations. The pictures do not do the cabin and property justice! We had 8 people with us and we had plenty of room for every one to sleep, eat and lounge comfortably. We decided after making one trip through the cabin that we would be returning again soon! The deck that winds down to the lake is fantastic not to mention all of the extras that the owners supply that aren't mentioned on the site. We found the owners of the cabin to be extremely nice! They even called the cabin to tell us of an event that was going on in the town during our stay that we had a great time at! If you can make a trip to this cabin you won't be sorry! The neighbors to the cabin are very friendly and the BP station is only a 5 minute walk if you run out of something. I could go on and on about the great time we had....This is a MUST DO for a mini get away! My family and I just returned from this wonderful vacation rental! 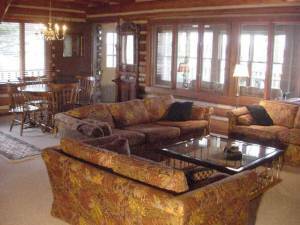 It exceeded our expectations in terms of charm, location and comfort. The web pictures only tell a part of the story. There were eight of us ... my wife and I, four children ages 4-12, and my senior citizen in-laws. There was enough room to accommodate all of us with plenty to spare. This was our first time to this beautiful region, and we're already planning to return. Also, a BIG thumbs-up endorsement for the owners. They were hospitable, responsive, and eager to serve. This is a great cabin. We had a wonderful time. There is plenty of room, very spacious. Cabin in on the water and very convenient. I would recommend this to anyone, especially for a family vacation. 25% of Rental Rate is required as a deposit at time of reservation, refundable up to 30 days prior to reservation.ALL REFUNDS WILL HAVE A 10% SERVICE CHARGE. Balance due 10 days prior to check-in. Occupancy 8 people: Each additional person $10 per day or $50 per week. Because of the popularity of this property, early booking is suggested. . Cancellations and Refunds: Refunds are given less a 10% handling charge if cancellation is given 30 days prior to date of reservation with the exception of Holidays which require a non-refundable deposit. Required Stay: 4 & 7 day minimums.